Hi everyone, I am a new member her and for full disclosure I'm not an actual Pantera owner, not that I wouldn't love to own one. I am posting here as I have been on the hunt for the unicorn of EFI intakes for the small block ford. 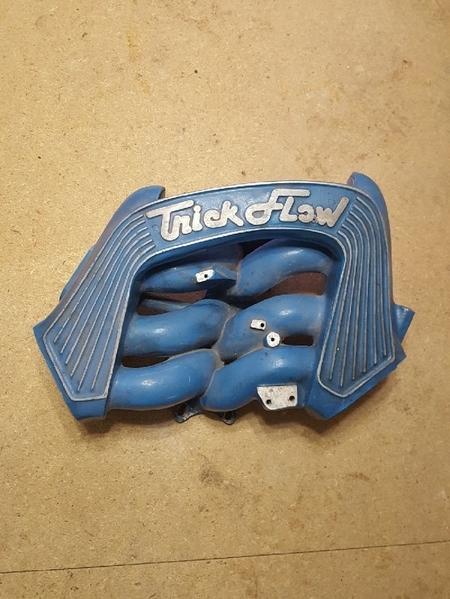 Posted here is a picture of none other than 1 of 8-12 original Trick Flow intakes. This never went into actual production, but was advertised a fair bit in the late 80's as I recall. I have managed to track one owner down, which is where the picture came from, but he is unwilling to sell. The reason I am posting here is that I came across some information that a Pantera owner living in either East Texas or Cleveland, Ohio has one installed on their car. At least that is the information I have gathered from internet lore. If you or someone you know has such an intake would you mind letting me know. I am interested in purchasing it for my own project that has been close to 15 years in the making.